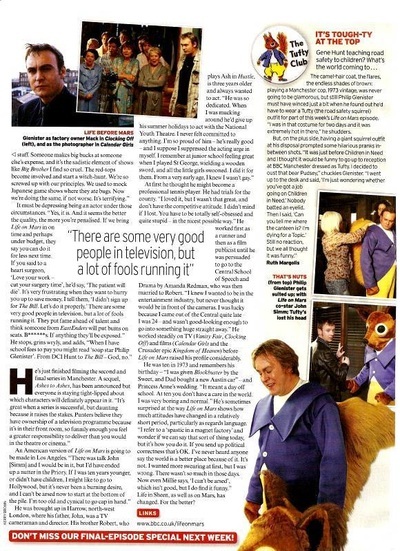 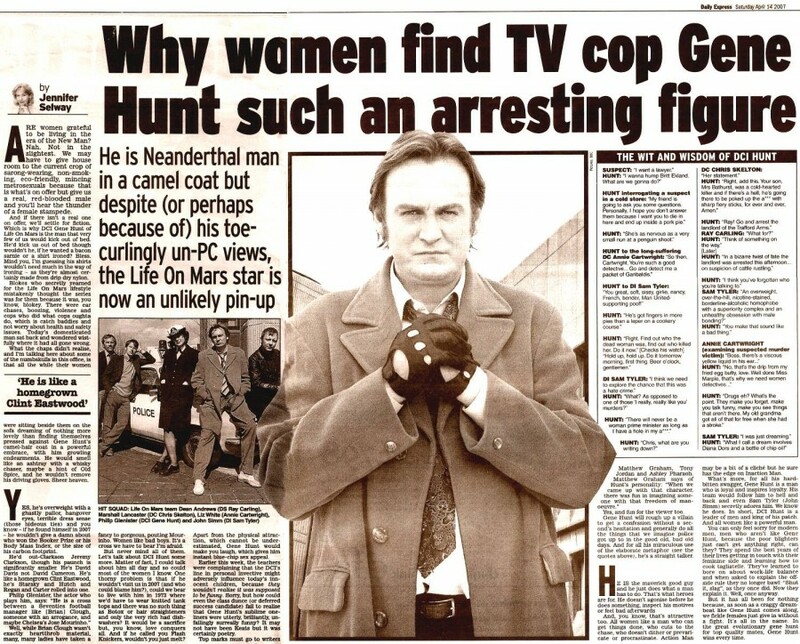 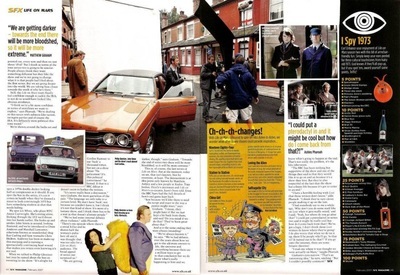 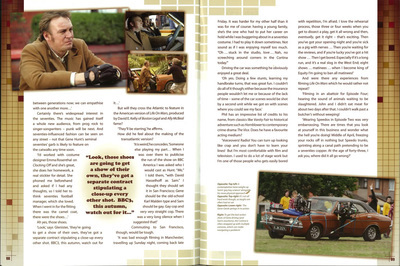 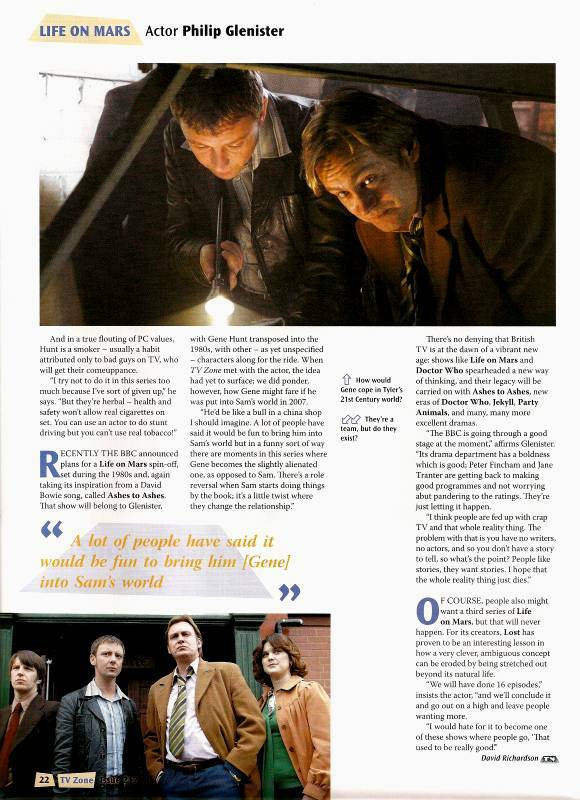 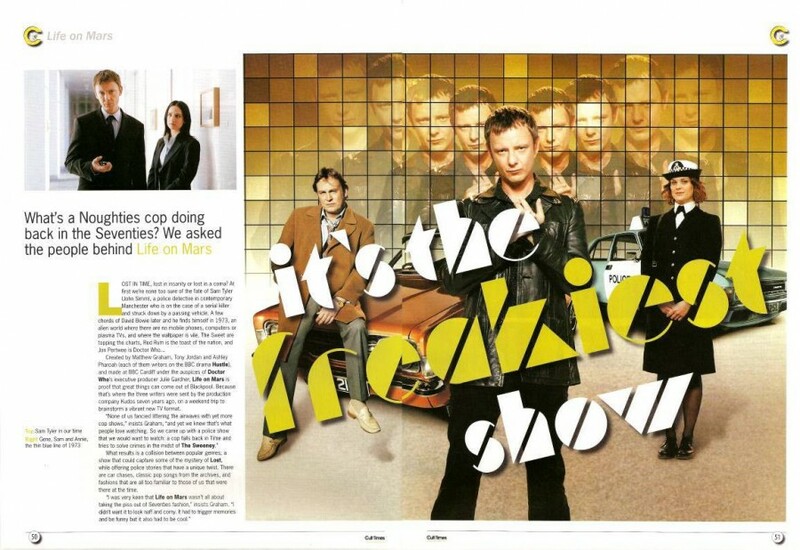 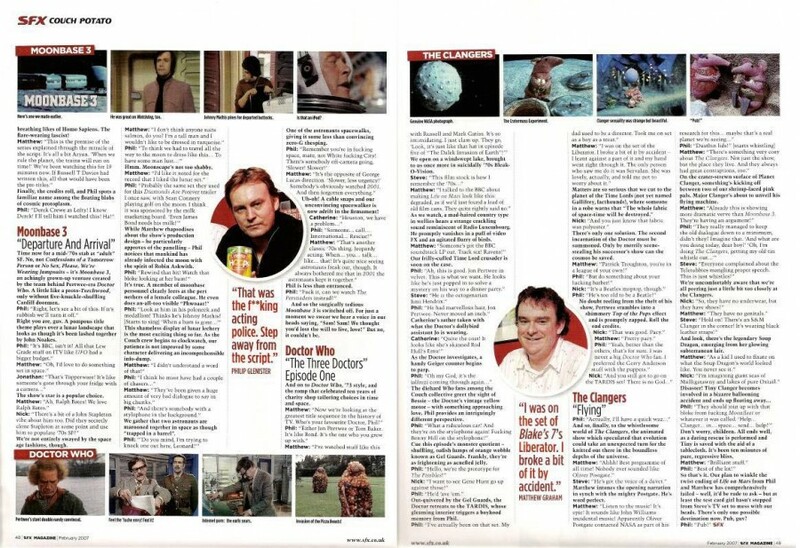 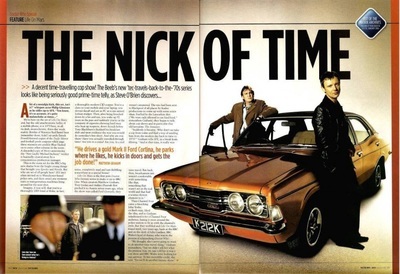 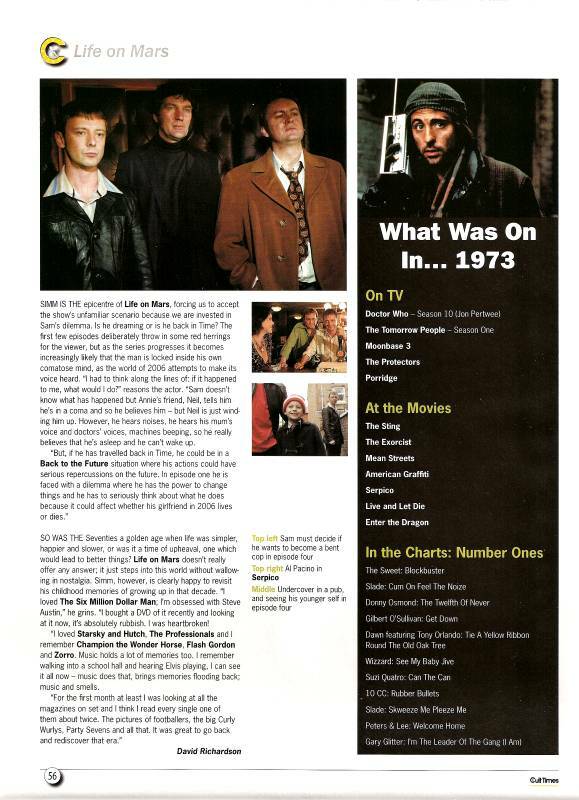 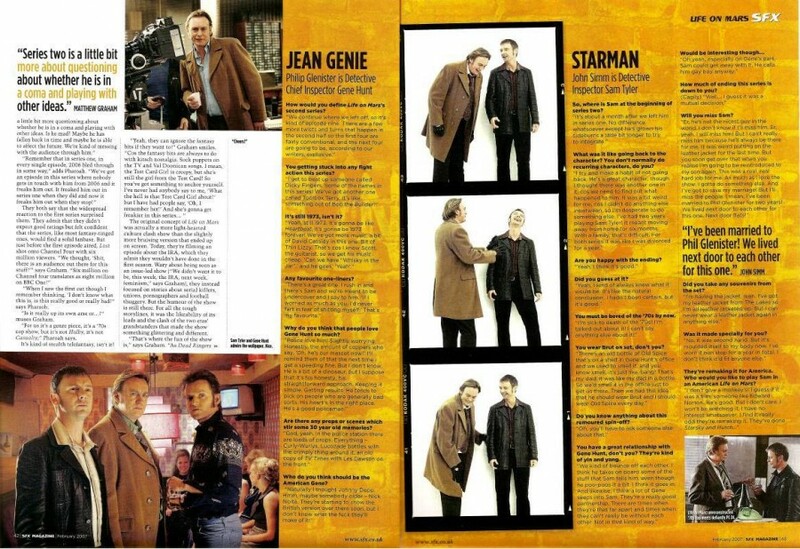 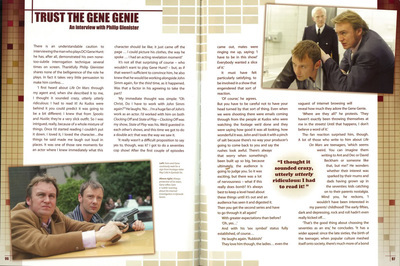 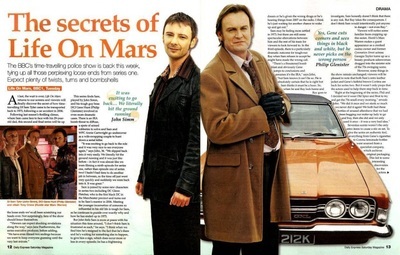 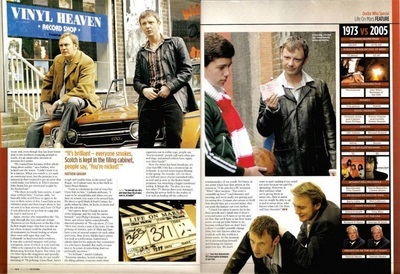 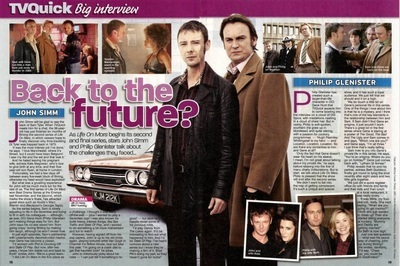 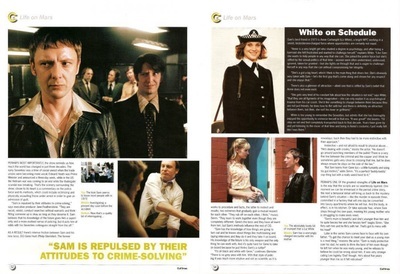 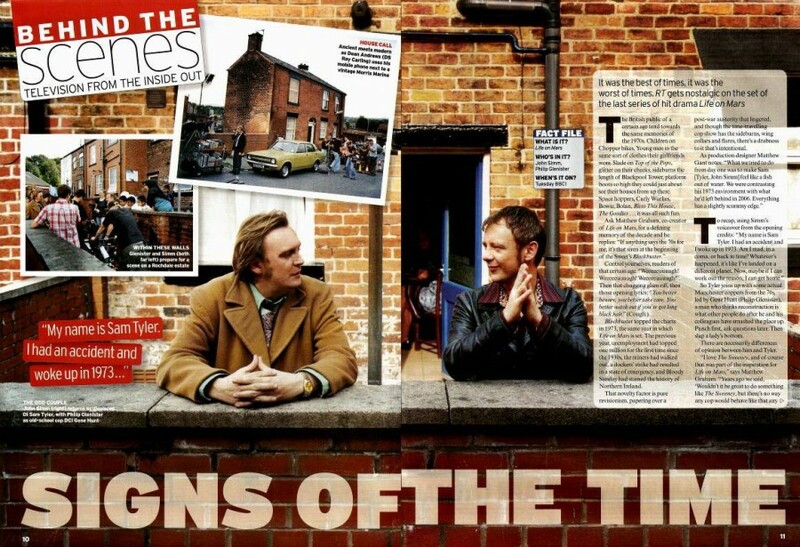 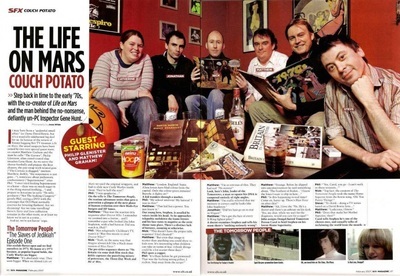 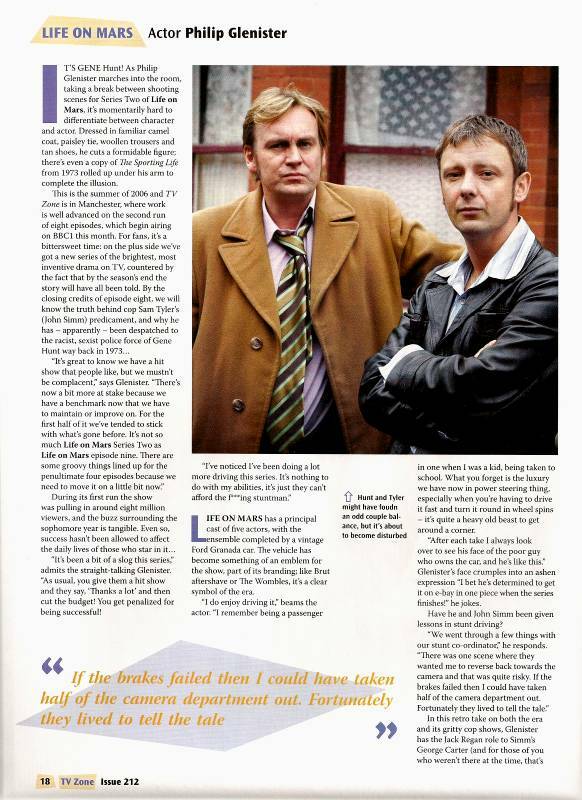 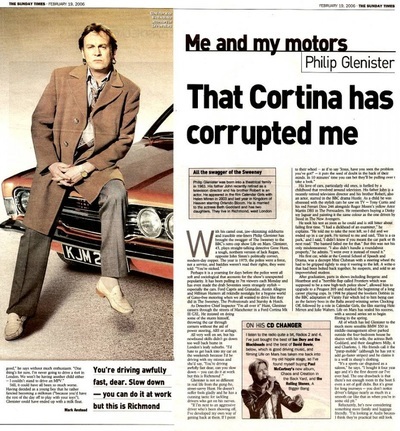 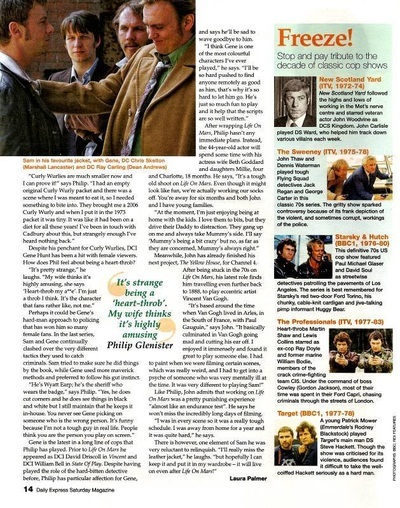 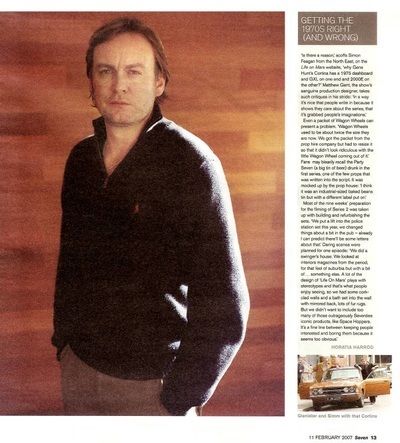 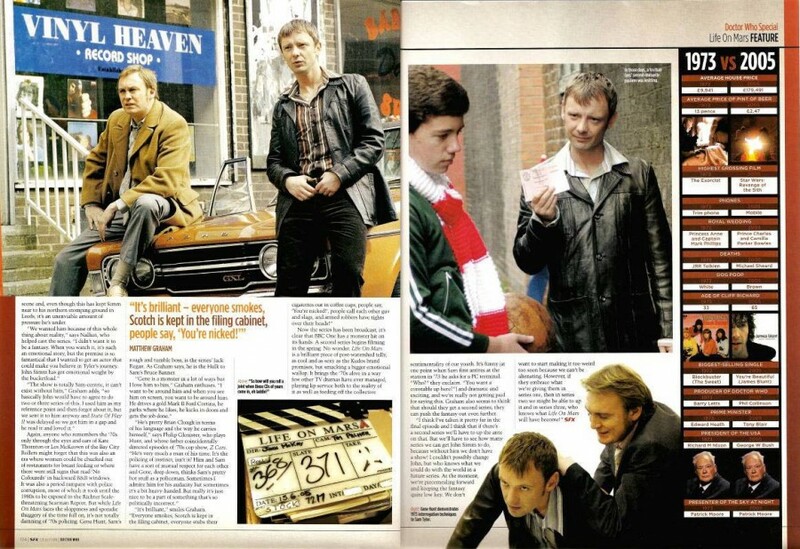 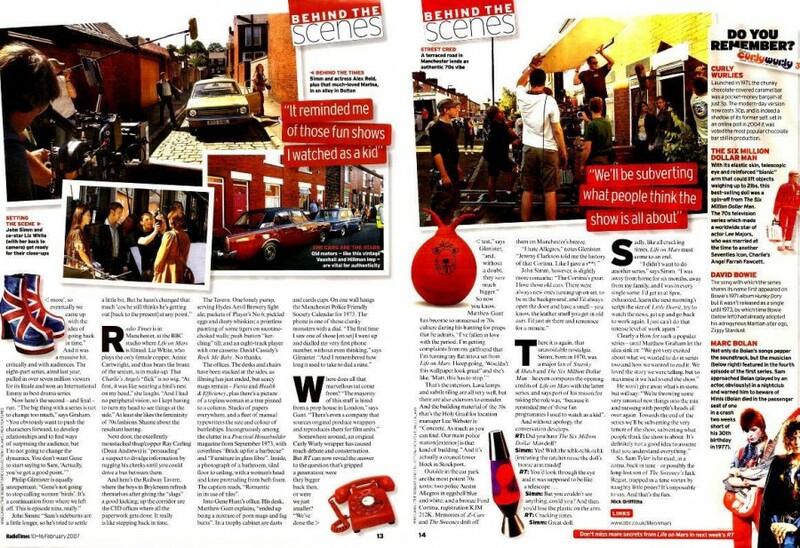 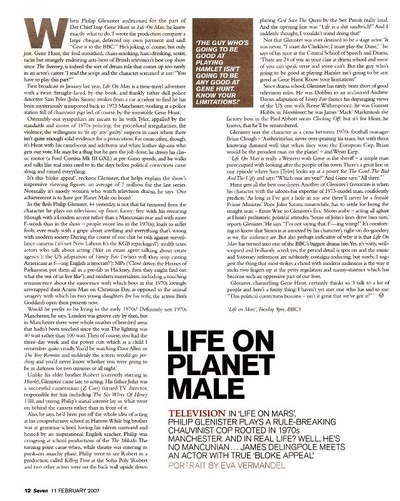 A collection of articles surrounding the BBC series, Life on Mars in which Philip played DCI Gene Hunt. This role is regarded by the majority as being his most notable. Click on the links below to read each article. 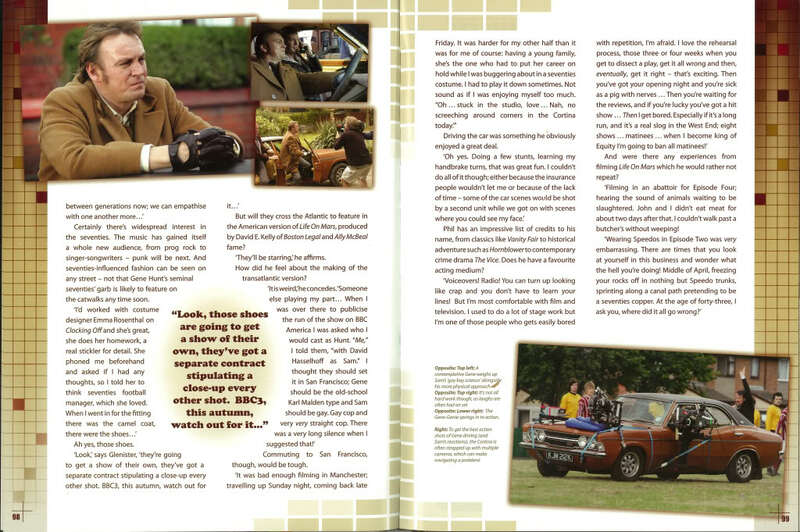 External links will open in a new window. For my money, one of the most exhilarating acting performances on television this season took place not on any of the major U.S. networks, but on the British cable export BBC America. And if you want to check it out for yourself, you’ll need to act fast. The actor’s name is Philip Glenister, and the show is Life on Mars. 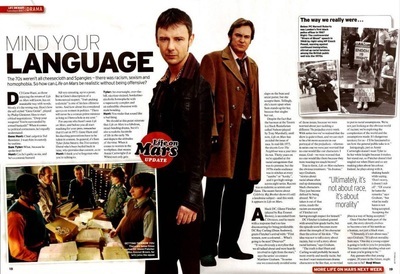 Millions of people tuned in to watch the conclusion of BBC One’s Life on Mars (10 April). 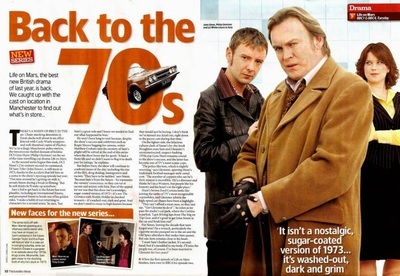 The Manchester-based cop drama ended with a clever twist which saw Sam Tyler go back to the future before returning to 1973. But how was it for you? 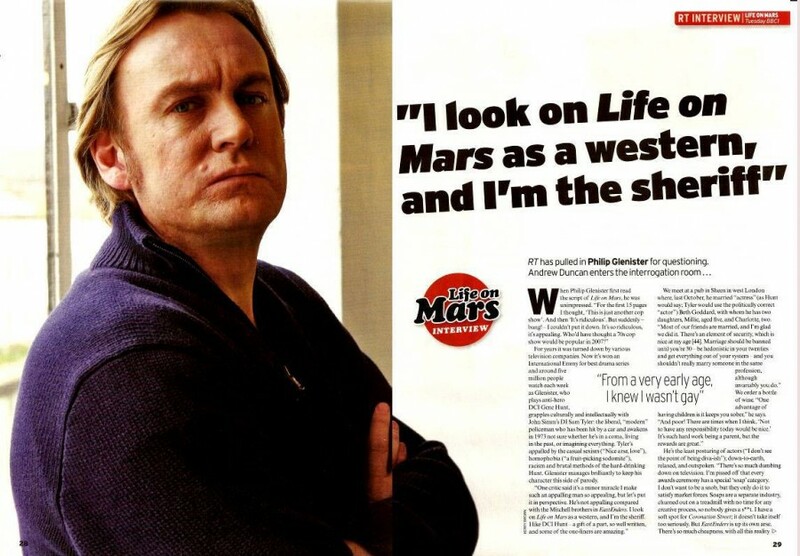 We haven’t seen a cop show like Life On Mars in 30 years, but star Philip Glenister reckons its controversial content blasts a gust of fresh air at today’s political correctness. 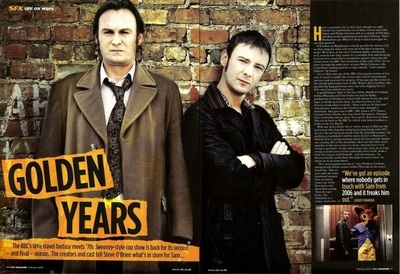 Graham Keal met him on location in Manchester. 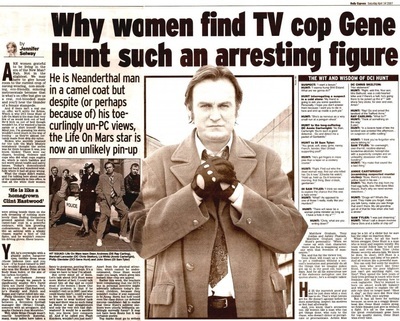 Gene Hunt. 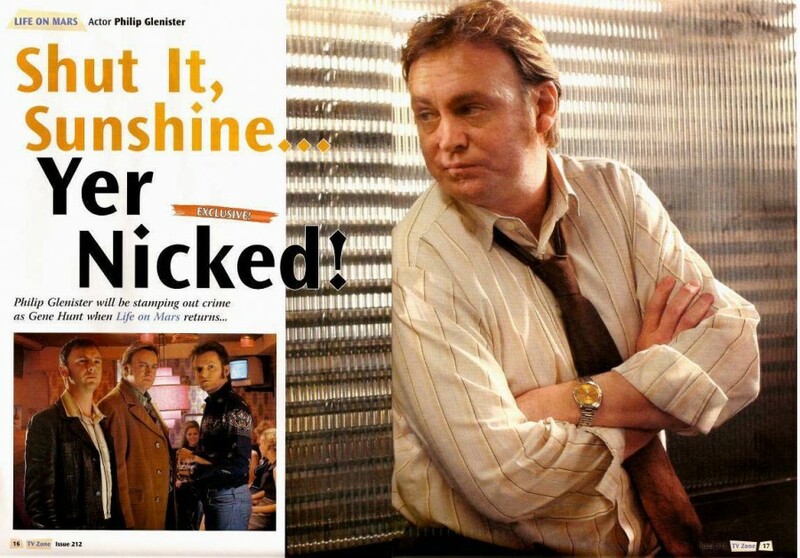 Your DCI. And it's 1973, almost dinner time, and I'm having hoops.